According to the register of shareholders at 30 June 2018, the following are the top 10 registered beneficial shareholders. 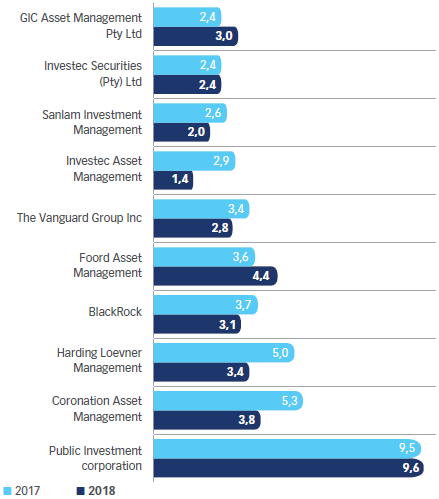 The shareholdings of all directors are disclosed in the Remuneration Report. 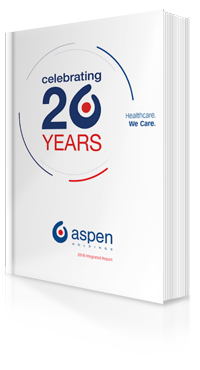 The geographical split of Beneficial and Institutional Shareholders above is based on shareholders who own more that 25 000 Aspen shares. 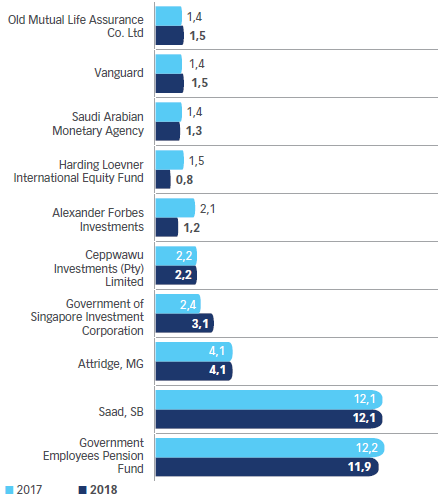 Percentages for Top 10 Beneficial Shareholders and Top 10 Institutional Shareholders reflected above are as a percentage of the total issued share capital of the Company.